On the inside front right tail is the Rawlings manufacturer's tag size “44” with washing instructions and an attached flag tag reading “SET 1 1977”. Handwritten on this tag in black marker is the player number “5”. 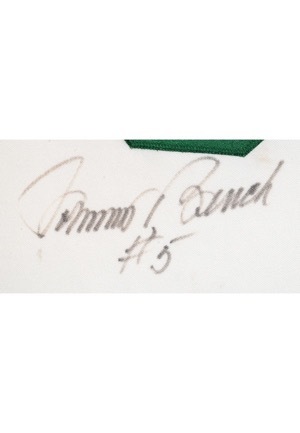 Adjacent below is an unconfirmed team stamp reading “PURCHASED FROM CINCINNATI REDS”. 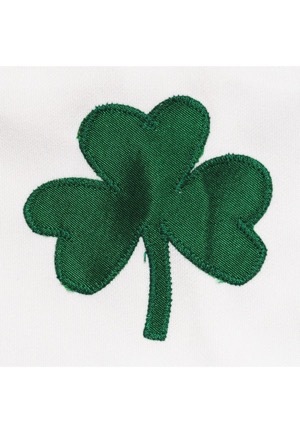 On the left sleeve is a green shamrock patch. 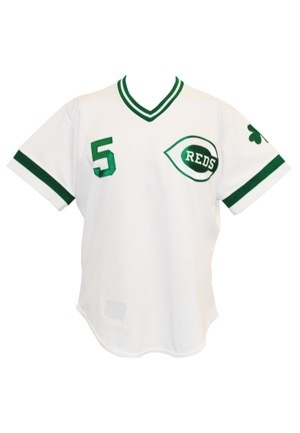 On the left chest is the Reds team logo in white and green tackle twill. 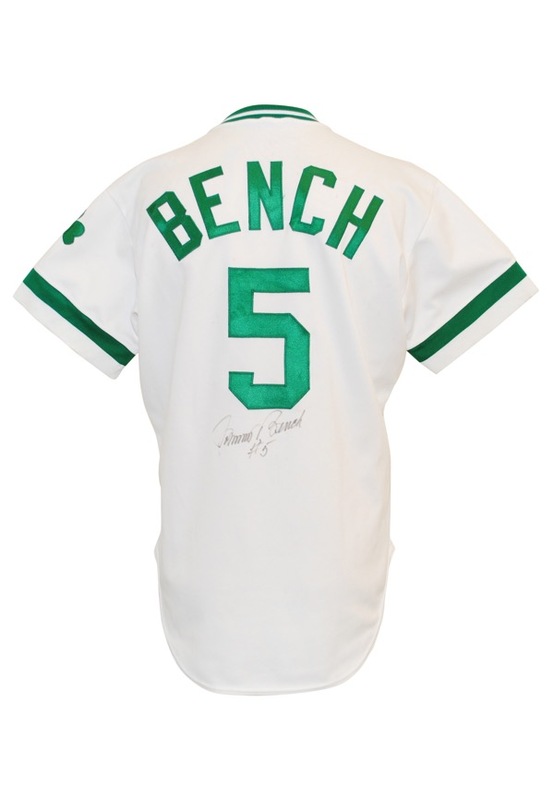 On the right chest and on the back is the player number “5”. 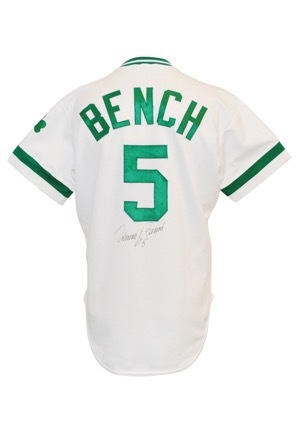 Above the player number on the back is the player name “BENCH”. 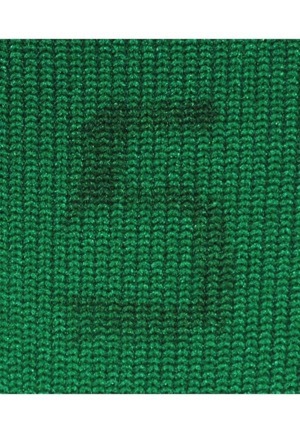 These are done in green tackle twill. Bench signed below the player number on the back in black marker and in our opinion the signature rates a 7. The tags have been incorrectly restored for the era. 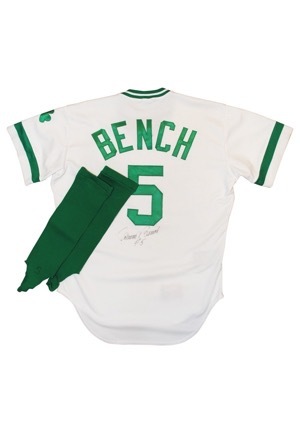 Also included are two green stirrups with the player number "5" written on them in black marker. This uniform shows appropriate use for a one game Spring Training special. Accompanied by a LOA from JSA and an additional LOA.